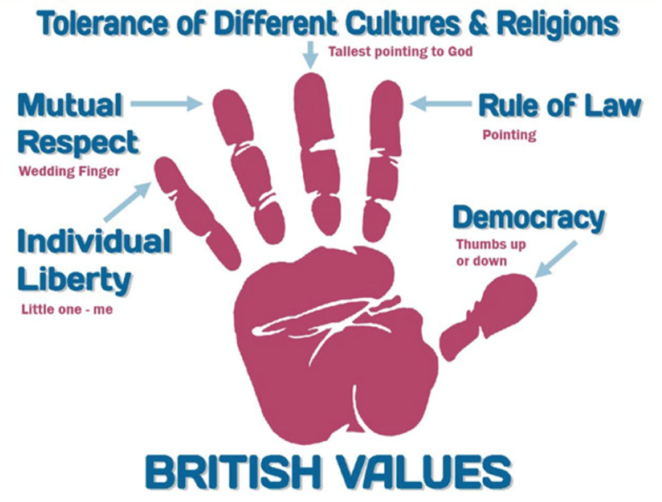 At Whissendine CE Primary School, we think it very important that our pupils develop a strong set of values and principles and that they question and understand what it means to grow up in British society. Through a rich and challenging curriculum, we invite pupils to reflect upon their role in a diverse, multicultural and multi-faith society. Through our RE, Geography and Historical units as well as acts of collective worship, we equip pupils with a mature, respectful and sensitive appreciation for difference and diversity. In discussing what it means to be British, children engage critically with stereotypes and prejudices and develop an understanding of how we can celebrate our heritage and home cultures whilst also embracing the ties that bind us together. We inculcate a deeply embedded appreciation of the values of fairness and democracy through our humanities curriculum as well as through our use of a 'mandated' model of Young Governors, in which children seeking to be elected as class representatives, participating in voting processes. Our school is enriched by the faith of our school community and we teach an inclusive and all-embracing Religious Education curriculum that teaches pupils about the beliefs and practices of all major religious groups, and indeed the shared values that religion can promote in synchrony with core British Values. As a school that serves a richly diverse community, we take our responsibility to promote community cohesion, generate a respect for difference and individual rights seriously. Our challenging curriculum enables pupils to recognise the valuable role that they play as emerging citizens in British society.